What is defensive driving NY? 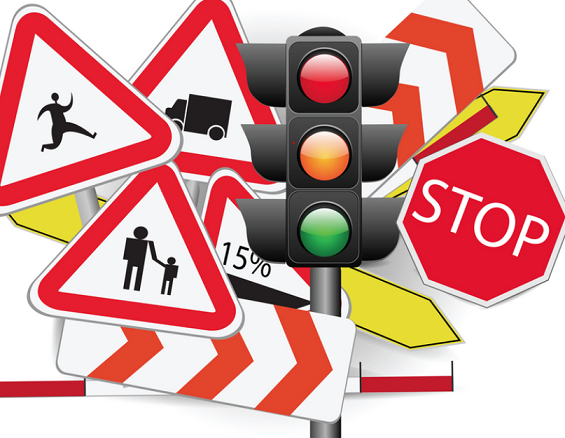 Defensive driving is a course that a lot of drivers will have to take at one time or another for a variety of reasons. These reasons can vary from proactive ones like trying to get benefits to retributive ones like trying to clear your record. For some, it’s an obligation for their job. It teaches drivers how to avoid dangerous driving situations such as inclement weather, speeding, driving too close to other vehicles, and other sticky situations. How is the DMV involved? The Department of Motor Vehicles (DMV) is perhaps most widely known from jokes about how much of a pain it can be to deal with them; these jokes often depict them as humorless and insufferably bureaucratic. Not all states have the same name for the department, but states like New York and California do. All jokes aside, the DMV is actually on the your side. They want to make sure good drivers receive as many benefits as possible, and bad drivers pay consequences. You may already know that this department deals in vehicle licensing and driver licensing. They also are expected to adhere to and enforce both state and federal laws with respect to motor vehicles. Upon completion of the defensive driving course, the DMV will reduce (or not count) up to four (4) points on driving record toward license revocation or suspension. the DMV computer will automatically reduce his/her active point total by up to four points. Important: Completion of a course under the “Point & Insurance Reduction Program” does not remove, delete, subtract, or erase any violation, conviction, or notice of original number of points from one’s driving record. Be forewarned! Most violations, convictions and points assessed will continue to show on the NY driving record for up to four years. Violations and convictions involving drugs or alcohol will remain on your driving record for ten years. “Point reduction” means the DMV will not count up to four points on your driving record toward license revocation or suspension. Points may be reduced only once in any 18-month period. * Have documentation of your course completion If you match these specifications, it is strongly recommended that you take a defensive driving course to make sure that your insurance is as good as it can get. Per the New York State Insurance Commissioner, all insurance companies writing policies for NY residents are required under New York Insurance Law § 2336 to provide a 10% reduction for three (3) years, from the base rate of the current liability, no-fault and collision premiums when an insured presents them with proof of completion of a Point and Insurance Reduction Program (PIRP) completed through a NYS DMV-approved course provider. In addition, if there is more than one person named on a policy, the insurance premium reduction applies to all motor vehicles principally operated by the motorist who completes the course. The reduction can be applied to only one driver for each covered vehicle. Frequency: Insurance reduction benefit will be valid for three (3) years. Drivers in New York have quite a few benefits professionally from taking a defensive driving course. The most obvious example would be people looking into getting into the taxi business, for which a person may get a job at a taxi company or may get a job as an Uber driver. Even outside of those jobs, it is attractive to a prospective employer at a job that requires a lot of driving (pizza delivery for instance) to have an employee who can not only drive as part of the job, but also do it smart and safely. A common reason a person may take a defensive driving course is due to getting a ticket and to clear their driving record. In order to apply, you have to meet certain specifications; for instance, you may not be a repeat offender, your ticket may not be too extreme (for instance, going too far beyond the speed limit could restrict you), and illegal substances such as drugs and alcohol may not be involved. It is valuable to drivers who are given the offer to take it, as it will help them get the ticket off of their record. It is not the most fun course to take, but it sure beats having a speeding ticket hanging over your head. While this is perhaps the one with the least tangible benefit, self-improvement can secretly be the best benefit. Bettering one’s driving ability and knowledge can improve job prospects, reduce your chances of needing to clean your record, and keeping your insurance rates low.